Philomena: Is it possible to find evidence that God does (or does not) exist? Analyse film clips featuring two characters with very different approaches to the question of believing in God. Reflect on what evidence people might require in order to come to a decision about the existence (or not) of God. Explain that in this lesson you are going to be thinking about whether decisions about the existence of God are as arbitrary as the guesses in No-clue Cluedo, or whether there is meaningful evidence to help point people one way or another. 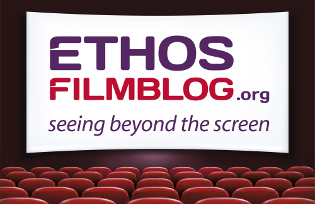 Introduce the clip from the film Philomena (Pathe, 2013, certificate 12). Click here to buy the DVD online. Explain that Martin Sixsmith (Steve Coogan) is a journalist who has agreed to help Philomena (Judi Dench) find the son she gave up for adoption as a young woman. In this scene they are meeting to make their first visit to the convent where Philomena lived with her baby before she was made to give him up. Ask the students to pay particular attention to the different ways each of the characters approached the question of whether or not God exists. Ask the students what differences there were between the two characters. The obvious point is that Philomena believes in God whereas Martin doesn’t reveal his belief, but draw out the fact that one of them (Martin) regards it as a complicated issue that is hard to sum up, whereas the other (Philomena) seems to see it very simply. Ask the students whether the question of belief in God is, as Martin says, ‘a difficult question to give a simple answer to’. If they agree with Martin, what factors make it complicated? If they disagree, what makes it simple? Ask the students to summarise the differences of opinion between Martin and Philomena. Why do they think each of them is so hostile to the other’s point of view on the subject of God? Ask the students whether they think that Christian faith is, as Martin says, based on ‘blind faith and ignorance’. Do they think it is possible for people to base belief in God on evidence and investigation rather than just on blind faith? The passage Martin cites is John 20:29. It is worth pointing out that the context of the quote was Jesus talking to his disciples after his resurrection. The next two verses (John 29:30-31) go on to talk about how John wrote his gospel precisely as an aid to help people who had never met Jesus to believe in him. Hand out the worksheet and ask the students to consider why Dr. William Lane Craig decided to believe in God. (Dr. William Lane Craig is a respected philosopher and Christian speaker whose work is part of the WJEC Philosophy and Ethics ‘A’ level syllabus. The story on this worksheet is taken from www.leaderu.com/offices/billcraig/docs/craig-curley08.html where it is part of a larger debate between Dr Craig and Dr Edwin Curley on the existence (or otherwise) of God. You could refer more able students to the full transcript of the debate to provide differentiation within this lesson. Ask the students to write down the main reasons why experience might prompt people to believe something is true, as well as writing down any objections they can think of to these arguments. A copy of Philomena and the means to play it.